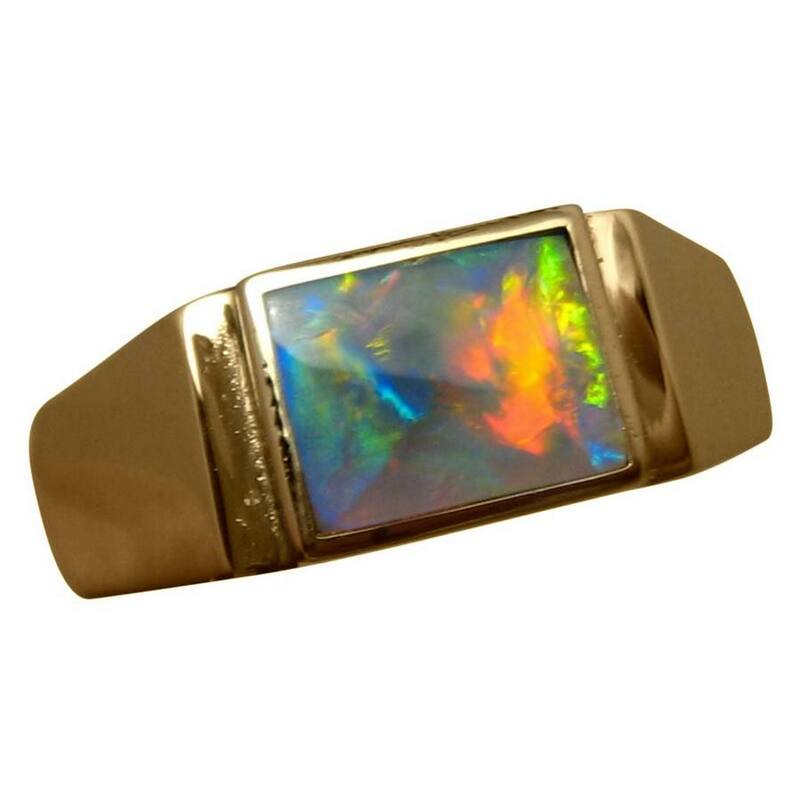 Mens Black Opal ring in 14k Gold with a rectangle cut Black Opal showing Red with Yellow and Blue. 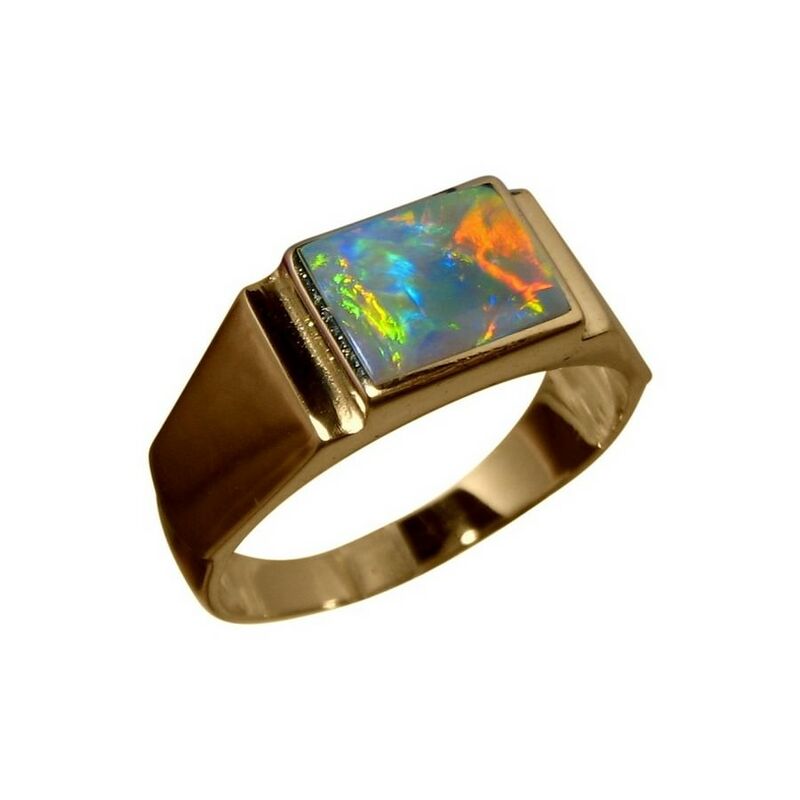 This Black Opal ring for men is stylish and masculine. 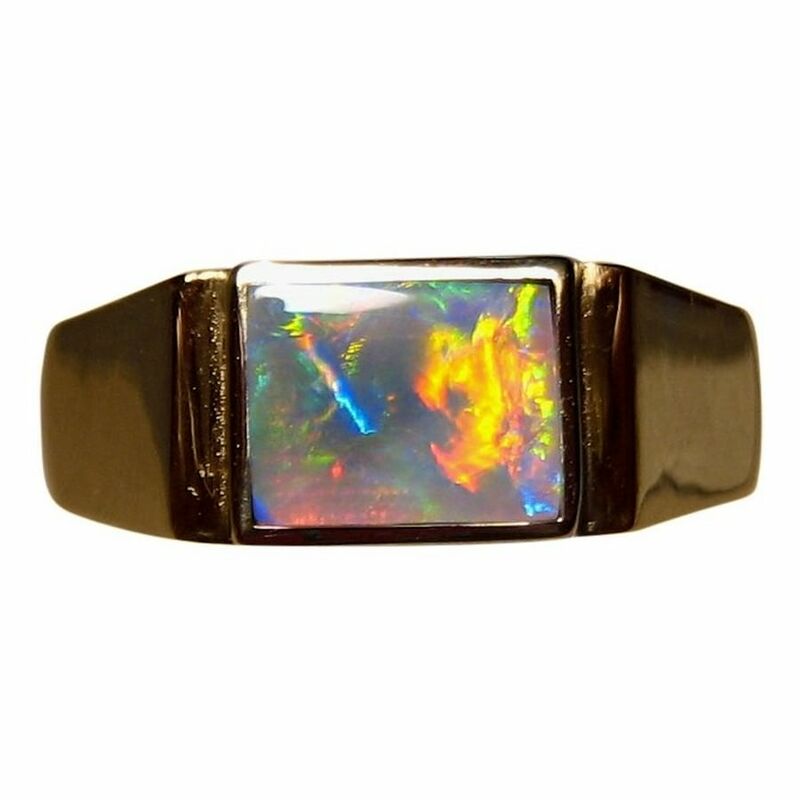 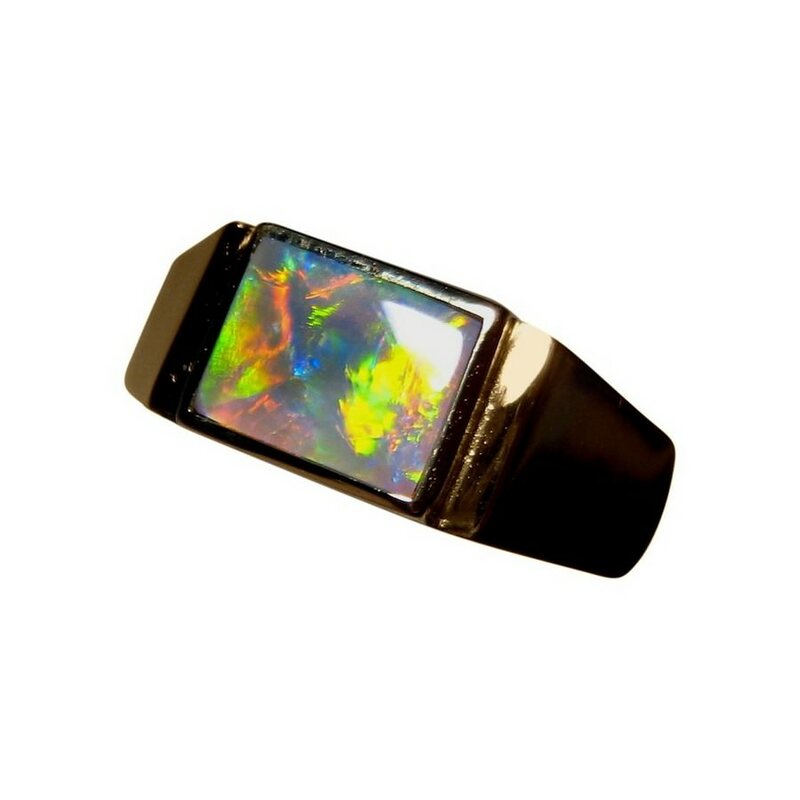 Shown in 14k Yellow Gold, the rectangle natural Lightning Ridge Black Opal shows Red in a Patch Flame play of color as well as some Yellow and Blue and the video below will show the brightness and play of color. 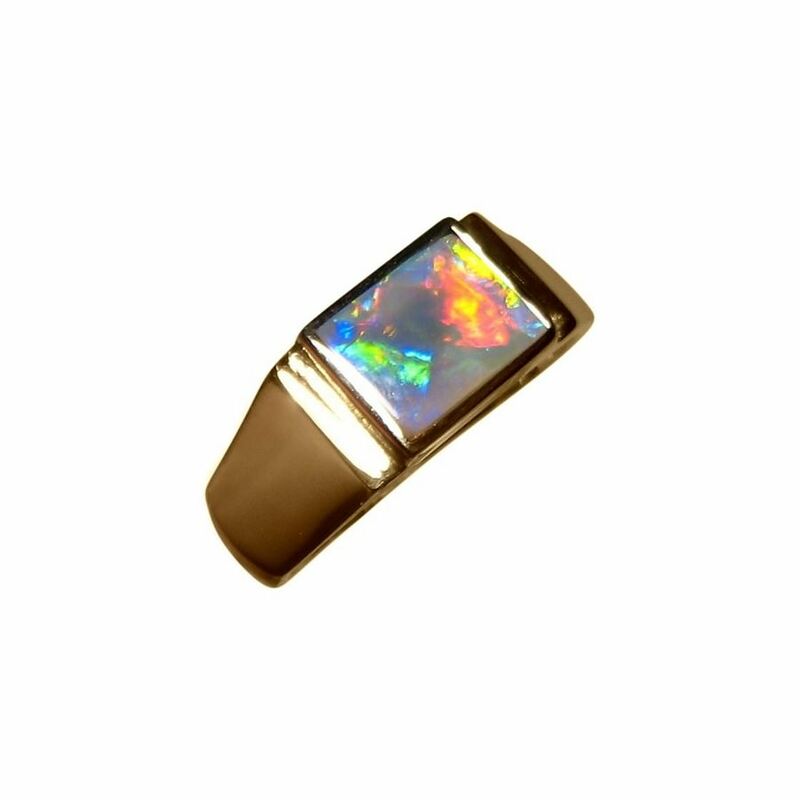 A classy Black Opal ring that has been sold however if you are interested in having an Opal ring made like the one in the images, inquire through this product page about availability and a no obligation price quote.